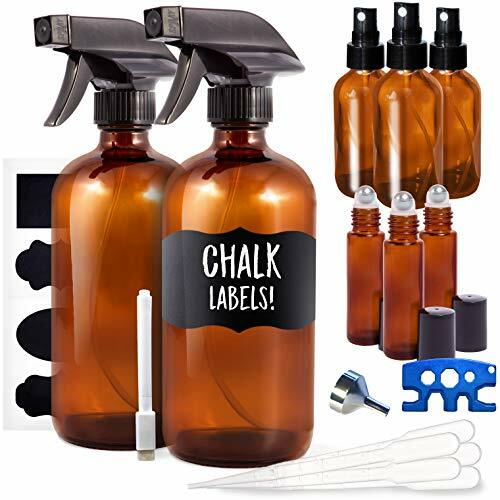 ¡ïPackage Included: 2 Pack 16oz amber glass spray bottles with 3 black trigger sprayers w/mist and stream and 4 caps, 4 Pack 2oz & 2 Pack 4oz glass mist bottles with mist sprayers, 10 pieces of chalk labels. 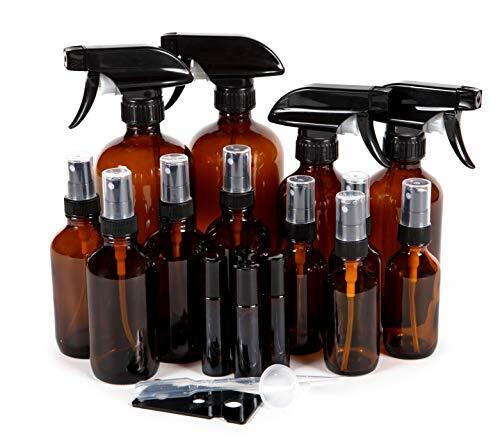 ¡ïMultiple Use: The spray bottles can be mixed your own cleaners, spraying plants, home linen spray for ironing, hair moisturizing spray, natural air freshener for the house, floor or carpet cleaner, cosmetic face moisturizer, etc. ¡ïConvenience: Get a mix of different sizes for a variety of uses around the house, fit in your hand and large enough for any liquids, perfect to travel. ¡ïEnvironmentally: Help the environment, reduce plastic chemicals in your house with a clean chemical free reusable mister for all your liquid sprays. ¡ïUV Protection:?Protects against degradation from ultraviolet light and keeps your essential oils safe plus the glass is not affected by strong oils like citrus. BPA and LEAD FREE. 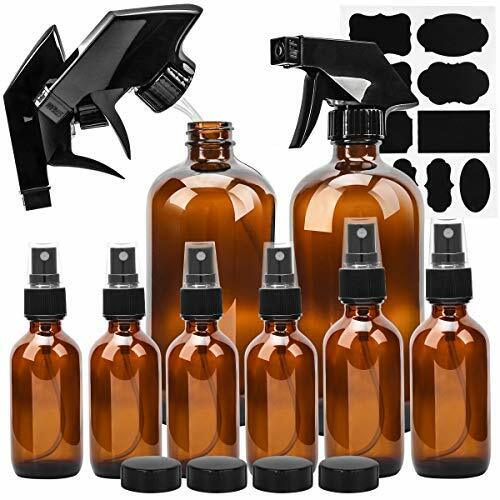 ★Package Includes: 2 Pack 16oz amber glass spray bottles with 3 black trigger sprayers w/mist and stream and 3 caps, 2 Pack 8oz spray bottles with 3 black trigger sprayers w/mist and stream and 3 caps,2 Pack 2oz & 2 Pack 4oz glass mist bottles with mist sprayers, 10 pieces of chalk labels. ★Multiple Use: The spray bottles can be used as cleaners, plant sprays, home linen spray for ironing, hair moisturizing spray, natural air freshener for the house, floor or carpet cleaner, cosmetic face moisturizer, etc. ★Convenience: Get a mix of different sizes for a variety of uses around the house. Small enough to fit in your hand and large enough for any liquids. Perfect for travel. ★Environmental: Help the environment by reducing plastic chemicals in your house with a clean chemical free reusable mister for all your liquid sprays. ★UV Protection:Protects against degradation from ultraviolet light and keeps your essential oils safe. Glass is not affected by strong oils like citrus. BPA and LEAD FREE. ☆Multiple Use: The spray bottles set can be mixed your own cleaners for spraying plants,home linen spray for ironing, hair moisturizing, natural air freshen , floor or carpet clean, cosmetic face moisturize. Roller bottles for essential oil aromatherapy massage. ☆UV Protection: Our bottles are dark brown and protect your sensitive essential oils, cleaning solutions, bleach mixtures, and anything else. 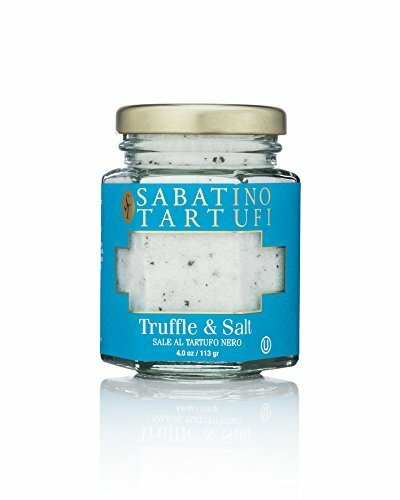 Protects against degradation from ultraviolet light and keeps your essential oils safe plus the glass is not affected by strong oils like citrus. BPA and LEAD FREE. ☆Environmental Protection: Glass spray bottles and glass roller bottles are mainly made of materials such as polyethylene or polypropylene. Reusable design reduce plastic chemicals in your house with a clean chemical free reusable mister for all your liquid sprays. ☆Money Back Guarantee: We want to help you make life easy and our aim is to provide quality products for each and every customer. If you aren't satisfied with your Glass Spray Bottle Set, please contact with us. 16 Piece, Amber Glass Bottle Set, Plus Accessories. 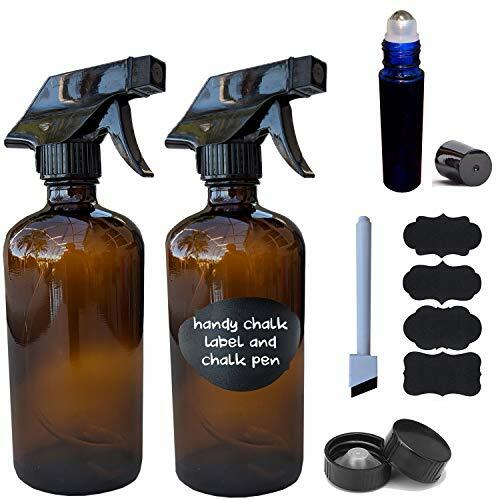 Larger 16oz (x2) & 8oz (x2) Bottles Include Black Trigger Sprayers and Screw Caps. 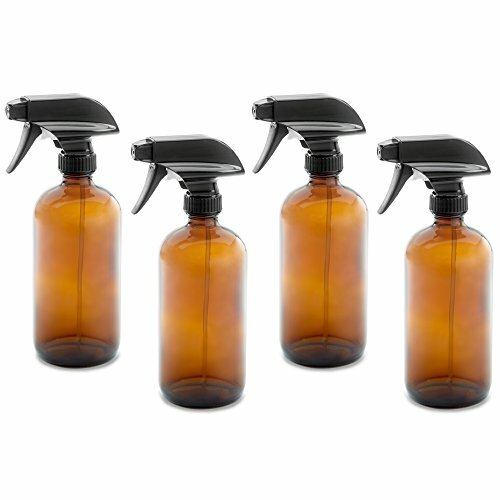 Smaller 4oz (x4) & 2oz (x4) Bottles Include Black Fine Mist Sprayers and Screw Caps. 10ml Roller Bottles (x4) Include Stainless Steel Roller Balls and Black Lids,. Accessories include: 16 Blank Labels, 3 ml Dropper, Funnel, and Roll-on Bottle Opener. Perfect for essential oils, cleaning products, and lots of other uses. Multifunctional Usage Bottle: The spray bottles can be used in most of your home situations. 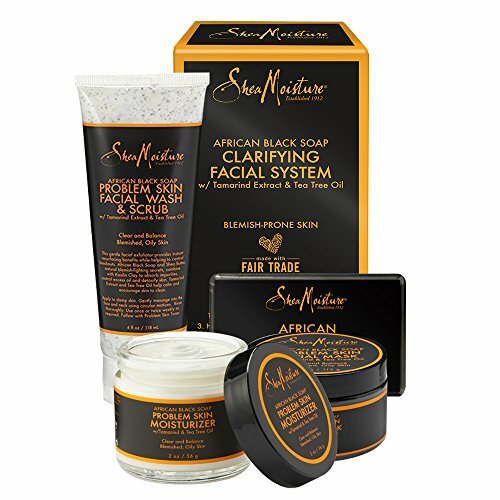 They can be mixed your own cleaners, spraying plants, home linen spray for ironing, hair moisturizing spray, natural air freshener for the house, floor or carpet cleaner, cosmetic face moisturizer and more. Protecting UV rays: Dark glass bottles help protect essential oils, skin care products and liquid medicines from UV rays. Environmentally: Help the environment, reduce plastic chemicals in your house with a clean chemical free reusable mister for all your liquid sprays. 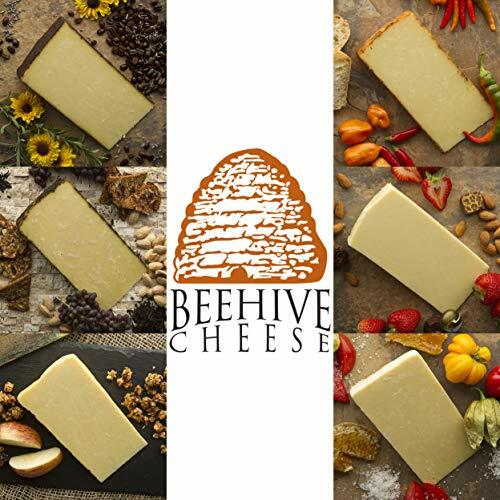 Advantages: You will get a mix of different sizes for a variety of uses around the house, fit in your hand and large enough for any liquids, what's more, convenient and portable for travel. 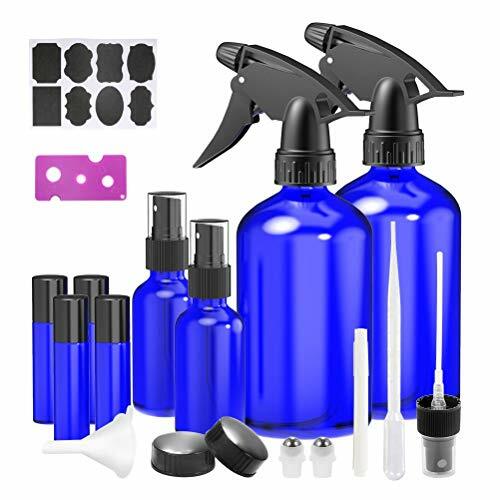 Package Included: 2 Pack 16oz glass spray bottles with 2 black trigger sprayers and 2 caps, 2 Pack 2oz glass mist bottles with mist sprayers, 4 Pack roller bottles with 2 extra roller ball, 8 pieces of chalk labels, 1 Water-based marker,3mL Dropper, Plastic Funnel and 1 Spray Nozzle. 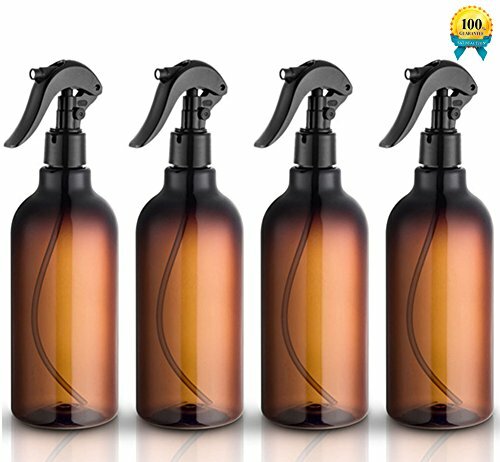 ECO-FRIENDLY: In addition to being easily recycled, the amber glass spray bottles contain zero chemicals found in plastic materials, making sure that no unwanted hazards seep into the container. Not only are you saving money, but you're helping the environment too! The BPA-free materials keep your home safe from excess chemicals as well. COMBO PACK: Get a mix of different sizes for a variety of uses around the house. The trigger sprayers have the capability to spray oils and liquid medications. Use the smaller roller ball bottles for essential oils. 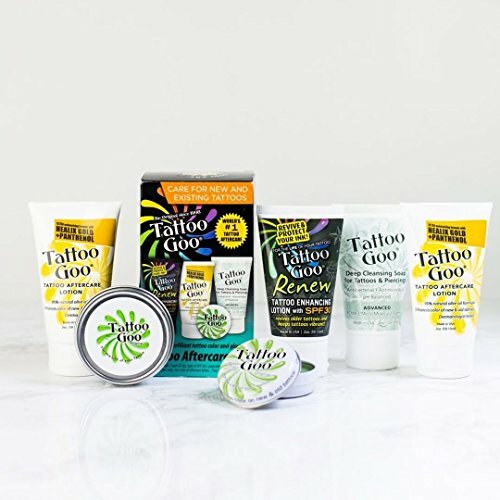 ACCESSORIES: Each combo pack comes with a 1ml plastic dropper for transferring small amounts, an essential oil plastic funnel for no messes, and a roll-on bottle opener. BONUS: Enjoy added (8) blank labels and a black marker to keep all your bottles organized! 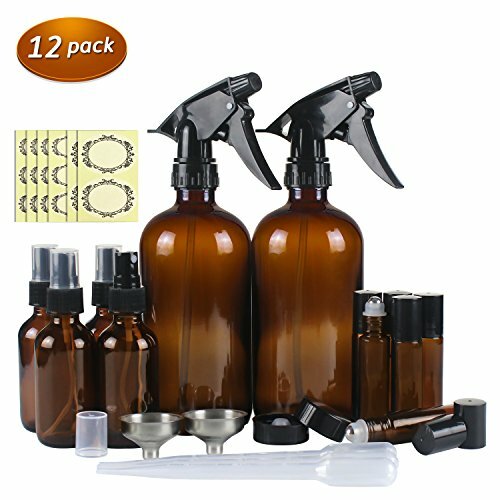 Convenient Essential Oil Bottle Kits - Includes 2 Amber 16oz Glass Spray Bottles with durable black trigger sprayer and black caps for replacing & 4 Amber 2oz Glass Spray Bottles for Essential Oils & 6 Amber 10ml Essential Oil Roller Bottles. 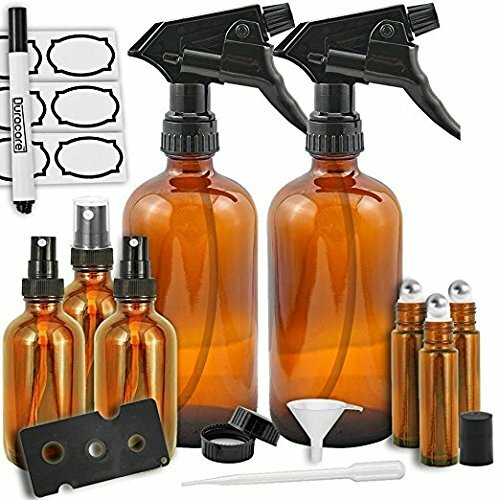 Useful Accessories - Totally 28 pieces labels for marking different fills, two stainless steel funnels & three pieces 3ml droppers for transferring liquids, two extra black caps for replacing the big trigger sprayers just in case you need to store liquid with the 16oz spray bottle. 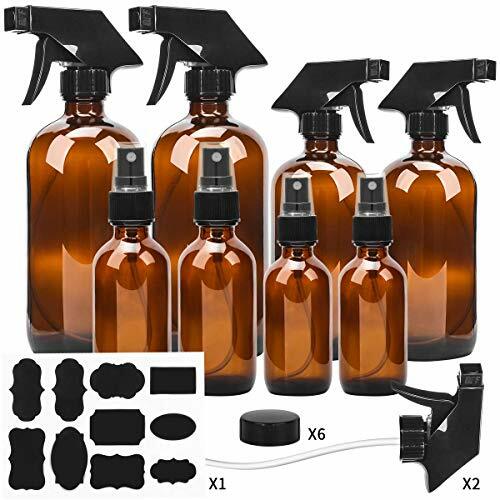 Save Time and Money - Amber Glass Spray Bottle Set includes various sizes glass bottles and necessary accessories for making your own oil blends, perfume or cleaning product and even mosquito repellent in summer days. One shopping for you to save your time and money. Worth a try! Superior Quality and UV Protection - Both Spray Bottles and Essential Oil Roller Bottles are made of actual amber glass which is medical- grade materials, they are thick enough to prevent easily breakage and harmful UV rays. Carefully selected and be trustworthy. 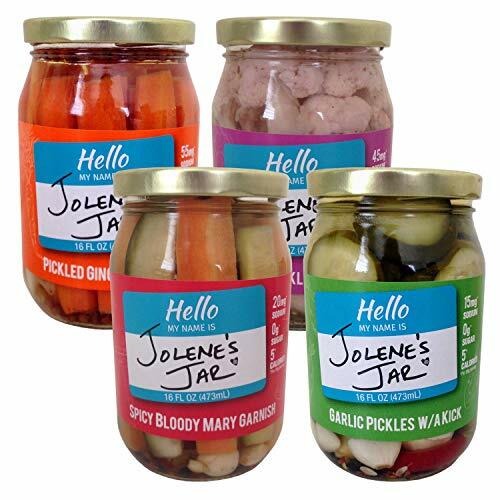 Outdoor or Home Use - Various sizes glass bottles for you to pack different liquids at home or outdoor. And we stand behind of our product, if this set makes you any unsatisfied, please contact us with no hesitation, we 100% take the responsibility for it! A NECESSARY ACCESSORY FOR ANY HOUSEHOLD! Whether for cleaning your bathroom or kitchen or for storing your beauty and hair products! LEAK PROOF TECHNOLOGY. With Superfine Mist & Leak-proof Guarantee,supper small nozzle require to spray water or diluent mixture with water,no block. GREAT DESIGN.Fits in your hand but is large enough that you will not have to constantly refill. 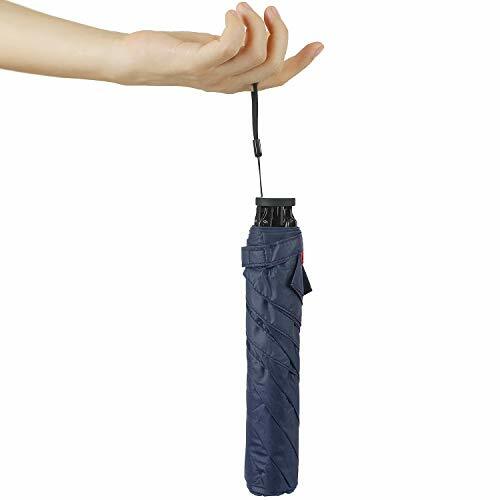 Looks great and is sturdy with a reliable squeeze trigger sprayer.When you press the "ON" button can spray water,press the "OFF" nozzle can't spray water. ENOUGH PLENTY.Never worry about a break or a loss with 4 pieces your are sure to have plenty. DURABLE BOTTLES. 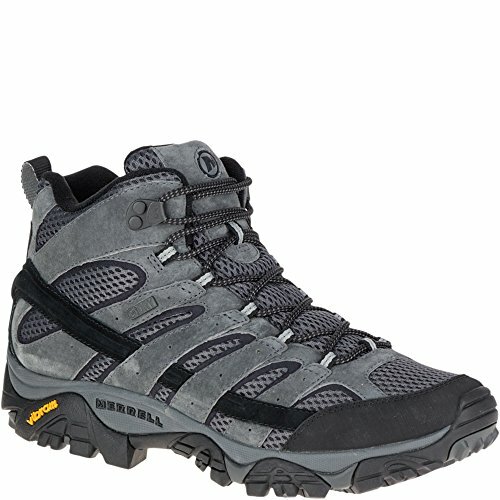 Excellent quality that will last you for long time! 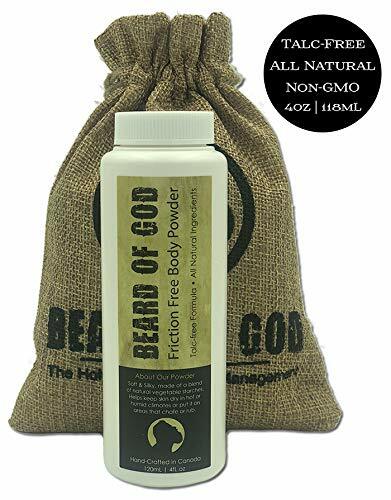 BEST BEARD STATUS is yours, wrapped up in a burlap bag with the oil, balm, wash, and brush. 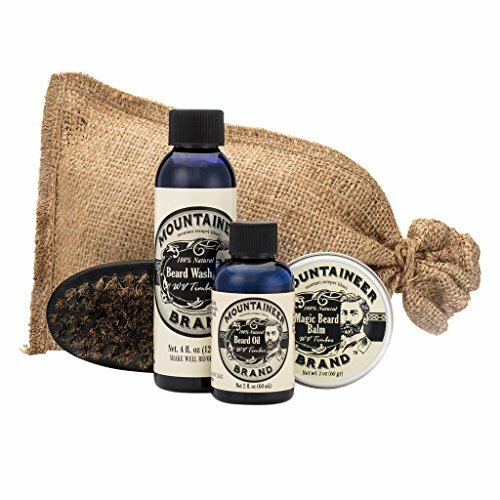 This kit contains everything you need to start your beard and keep it epic. UV PROTECTION: Protects against degradation from ultraviolet light and keeps your essential oils safe plus the glass is not affected by strong oils like citrus. BPA and LEAD FREE. DURABLE TWO FUNCTION SPRAYER: Sprayer is made of durable plastic and comes with both spray and a stream settings. Bottle is dishwasher safe. 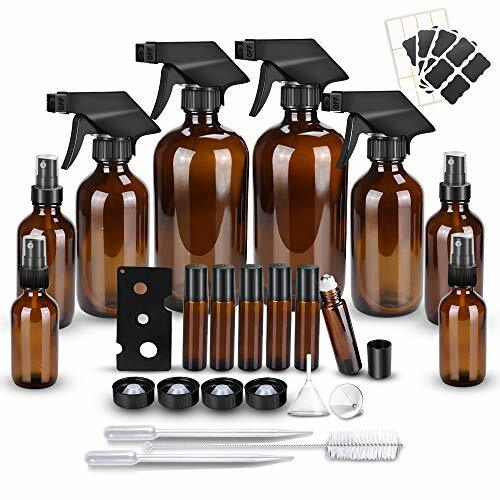 1 BOTTLE & 1 SPRAYER INCLUDED - You will receive 1 high quality 16 ounce dark brown amber bottle and 1 heavy duty trigger sprayer with full spray, stream, and off settings. HEAVY DUTY SPRAYERS (3 FUNCTIONS: MIST, STREAM, OFF) - Because our glass amber bottles and trigger sprayers are made in the USA, they are the highest quality durable sprayers. This means you don't have to worry about liquids leaking out, what you spray, or how long you spray. This is great because they will last forever and never clog! Simply turn the nozzle to switch between a wide spray, stream, or off settings. BPA FREE, LEAD FREE, DISHWASHER SAFE - Our spray bottles are food safe, which means that you can use them for oil/vinegar spray, essential oils that go on the body, or any other concoction that you come up with to use in your kitchen and foods! 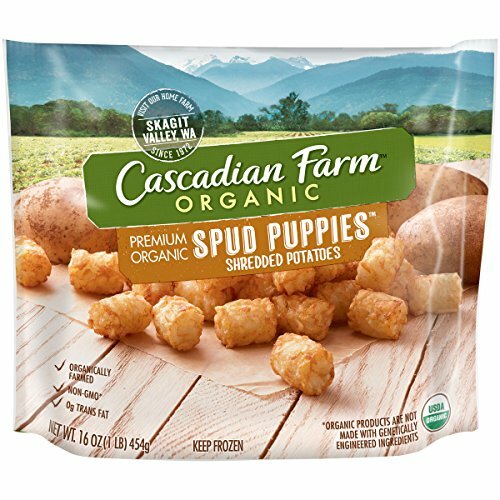 They are guaranteed to be BPA free plastic and lead free. Once you use the contents of one bottle, just throw the glass bottle in the dishwasher and don't worry about having to clean it by hand. UV PROTECTION FOR ESSENTIAL OILS - our bottles are dark brown and protect your sensitive essential oils, cleaning solutions, bleach mixtures, and anything else you can create from the harsh light that causes them to lose potency over time. You don't have to worry about storing sensitive mixtures for any length of time, or having to place them in a dark space! MONEY BACK GUARANTEE - If for any reason, you aren't happy with your Glass Amber Spray Bottles, just send them back to us for a prompt and full refund. We want to help you make life easy and our aim is to provide quality products for each and every customer. If you don't feel like we did that, let us know! So click the Add to Cart button now, knowing your purchase is protected with our Money Back Guarantee. 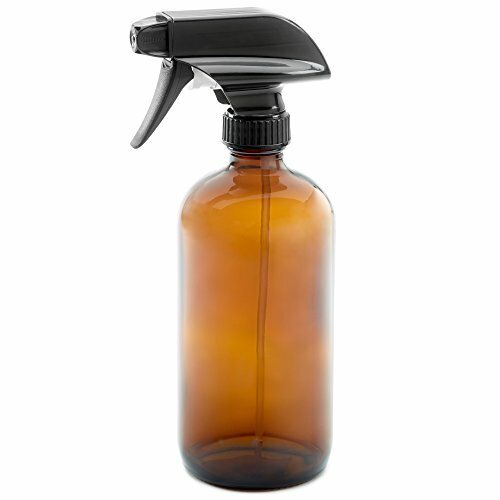 IMPROVED DESIGN - our improved spray bottle design features dust caps and fine mist sprayers for convenient storage and discharge of perfume oils, essential oils, and other liquids. SECURE PACKAGING - looking for the ideal spray bottle for safe and secure packaging of any liquid-based product? This one will squarely serve your purpose. UV PROTECTION - amber glass design provides maximum protection against harmful UV radiation from the sun. DURABLE QUALITY - each component is created from sturdy materials that ensure longevity. The bottle is relatively tough and long-lasting. Saves you money in the long run! TRAVEL READY - small enough to conveniently fit in your purse, each piece is 100% travel ready. 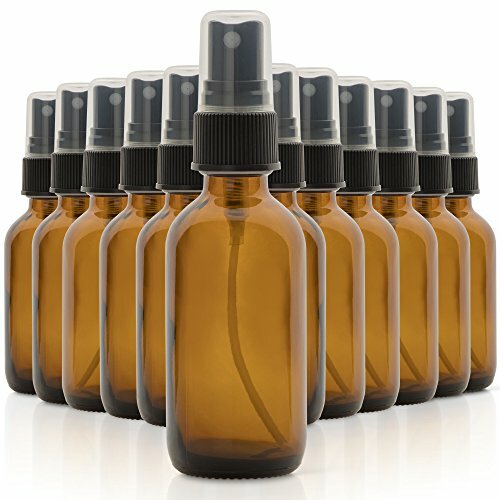 12 PACK, 2OZ AMBER SPRAY BOTTLES - The perfect small essential oil spray bottle. The 1790 2 oz glass spray bottles are big enough to store and travel with your essential oil mixes. FINE MIST HEAVY DUTY SPRAYER - The black mist sprayer functions great for essential oil spray, aromatherapy, hair spray bottle, air fresheners, room sprays, body sprays, DIY beauty products, pillow mist, and any other mixtures you can think of! BPA FREE, LEAD FREE, DISHWASHER SAFE - Our amber glass spray bottles are FDA approved materials which means you can safely use them for, essential oils for the body, or any other concoction that you come up with to use in your home! 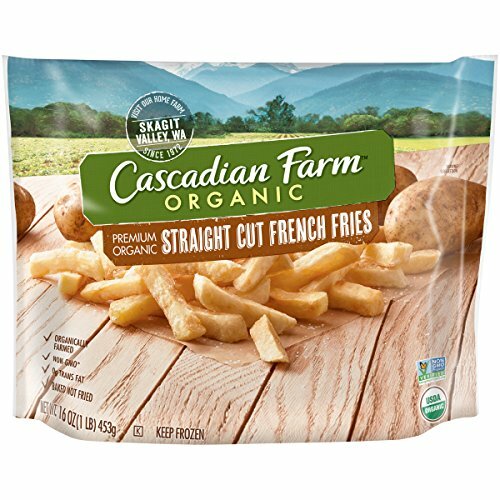 They are guaranteed to be BPA & Lead Free. Once you use the contents of one bottle, just throw the glass bottle in the dishwasher and don't worry about having to clean it by hand. *Please note that the black fine mist sprayer is not safe for the dishwasher. UV PROTECTION FOR ESSENTIAL OILS - The dark brown amber glass protects your light sensitive liquids from degrading such as essential oils, cleaning solutions, and bleach mixtures. This is great because you no longer have to worry about ultraviolet light causing your mixtures to lose potency over time! MONEY BACK GUARANTEE - If for any reason, you aren't happy with your 2 oz brown glass spray bottle, just send them back to us for a prompt and full refund. We want to help you make life easy and our aim is to provide quality products for each and every customer. If you don't feel like we did that, let us know! So click the Add to Cart button now, knowing your purchase is protected with our Money Back Guarantee. CROP NECESSITIES: Specially formulated for high performance, below the waist activity. 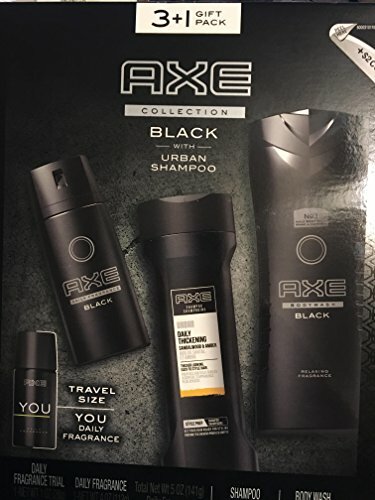 Designed to keep men dry, refreshed and smelling great throughout the day... and night! Let's keep those CROPS PROTECTED and ready for action with an all-in-one, deodorant, antiperspirant and moisturizer as well as an on-the-go spray-on spritzer and toner. 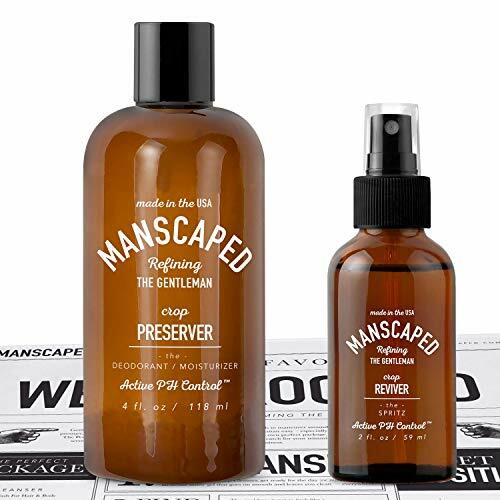 THE CROP PRESERVER - Below deck protection, A Humidity Absorbing Anti-Chafing Cream for the Manhood! 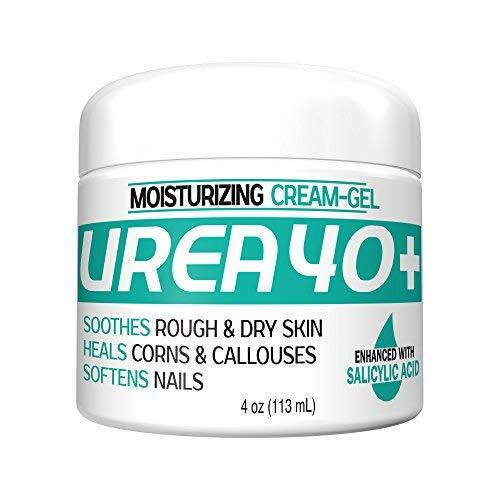 This 4oz "magic-in-a-bottle" is a uniquely designed formula for men; residue- and oil-free, anti-chafing liquid talcum gel features ingredients that preserve the skin's essential barrier, promote antibacterial protection, and maintain all-day freshness with a velvety smooth finish. 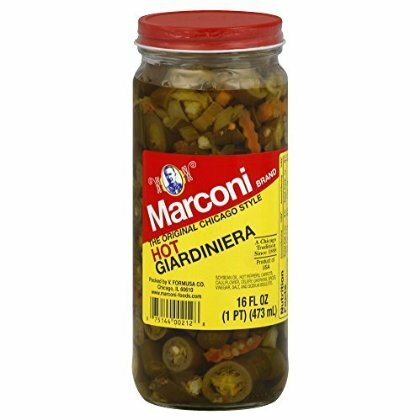 Think of this as your suit of armor, no need to fret the sweat, we got your balls covered! THE CROP REVIVER - Crops wilt over time, don't let this happen to you, Spritz and revive those crops throughout the day with the Crop revivor. A unique high performance spray-on-body toner, designed for high friction areas, infused with aloe and witch hazel extracts for: anti-inflammatory, anti-burn protection and optimum PH levels for dryness and hydration control. 2oz travel size so there is no excuse to not be refreshed and smell fantastic throughout the day! THE MAGIC MAT: These are a must have for serious manscaping - so we are giving them away for FREE for each manscaped man that joins the movement. These Incognito disposable shaving mats serve for practical and entertainment purposes. Utilize its handy functionality while grooming, then neatly discard or as a light entertaining bathroom read for all things manly. 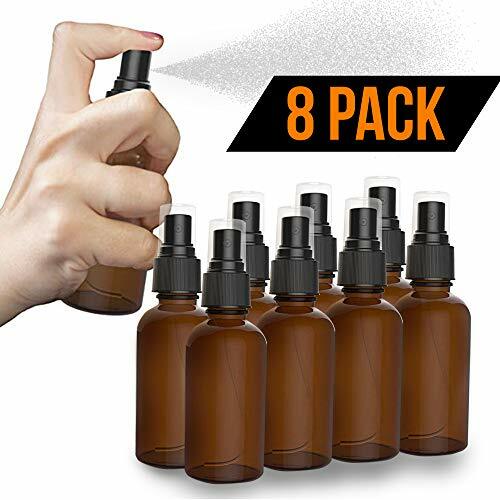 4 PACK WITH CAPS, LABELS, AND FUNNEL INCLUDED - You will receive 4 high quality 16 ounce dark brown amber glass spray bottles, 4 heavy duty spray tops with mist and stream settings, 2 phenolic caps, 4 labels, and 1 collapsible silicone funnel. The caps are useful so you don't have to worry about storing them with the sprayers attached. 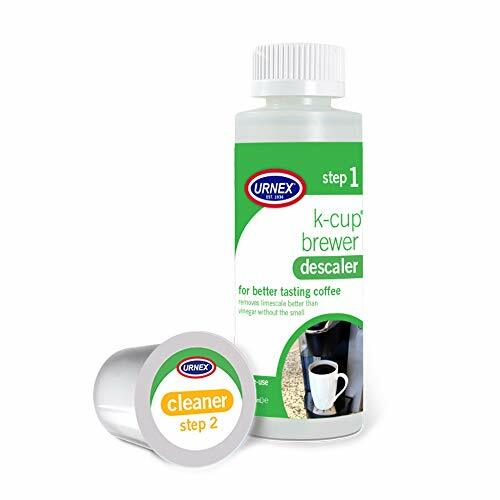 This is great because it provides an easy to store, compact solution if you want to create a large batch and store it safely out of the way to use later. HEAVY DUTY TRIGGER SPRAYERS (3 FUNCTIONS: Fine Mist, Stream, Off) - Because our glass amber bottles and trigger sprayers are made in the USA, they are the highest quality durable sprayers. This means you don't have to worry about liquids leaking out, what you spray, or how long you spray. This is great because they will last forever and never clog! 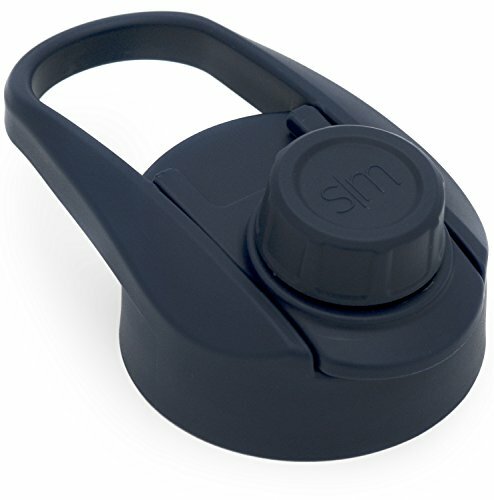 Simply turn the nozzle to switch between a wide spray, stream, or off settings. BPA FREE, LEAD FREE, DISHWASHER SAFE - Our glass spray bottles are food safe, which means that you can use them for oil/vinegar spray, essential oils that go on the body, or any other concoction that you come up with to use in your kitchen and foods! 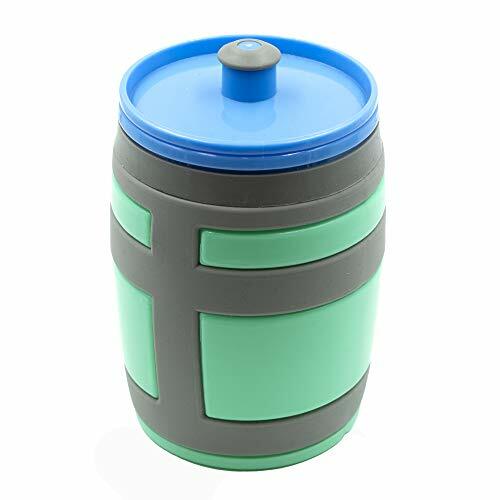 They are guaranteed to be BPA free plastic and lead free. Once you use the contents of one bottle, just throw the glass bottle in the dishwasher and don't worry about having to clean it by hand. UV PROTECTION FOR ESSENTIAL OILS - our bottles are dark brown and protect your sensitive essential oils, cleaning solutions, bleach mixtures, and anything else you can create from the harsh ultraviolet light that causes them to lose potency over time. You don't have to worry about storing sensitive mixtures for any length of time, or having to place them in a dark space! 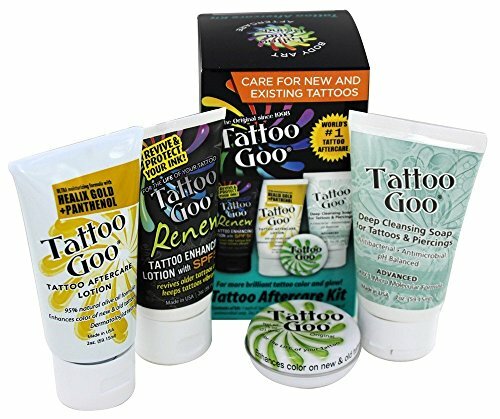 Tattoo Goo Aftercare Kit is used for the complete aftercare and perpetual care of your tattoos. 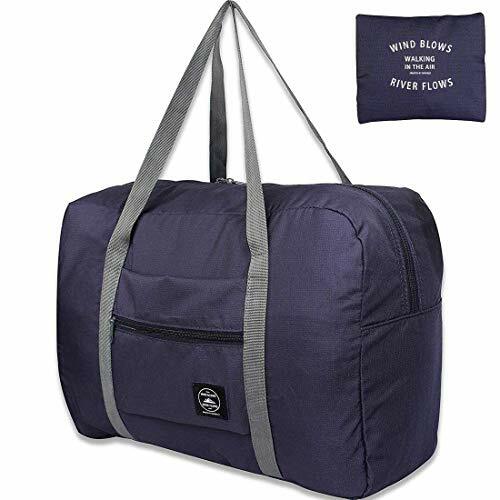 Foldable lightweight travel gym bag, easy to fold up and store. Dimension of the bag: 17.7'' x 12.2'' x 4.9'', only weight 2oz. Small and fashion for women, girls. Perfect use as a gym bag, swimming bag, carry on travel bag. With a trolley sleeve for luggage plenty of room to contain your clothing and stuff. Dishwasher Safe: Wash on the top rack. This lid is toxin free. 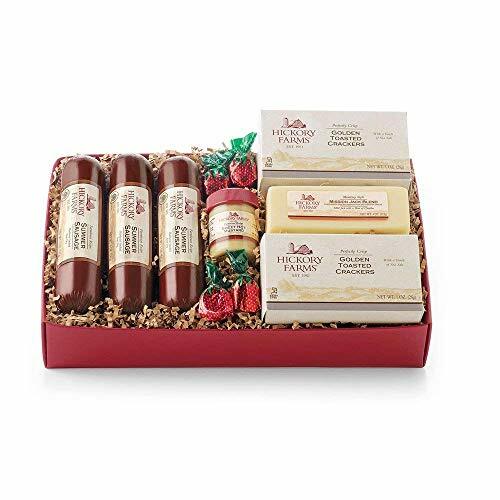 GENEROUS PORTION MAKES THIS A PREMIUM HICKORY HOLIDAY GIFT SET - Hickory Farms Holiday Celebration is more than "just a snack" at 1.45 pounds. 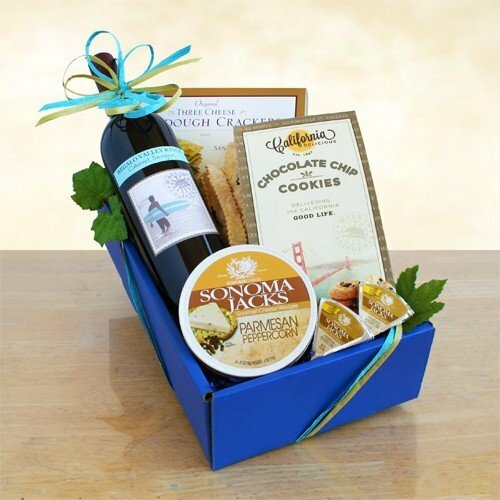 HICKORY FARMS HAS BEEN PROVIDING GREAT CHRISTMAS GIFTS FOR YEARS - For over 60 years Hickory Farms have been enriching celebrations with the highest quality, great tasting food gifts. Their dedication to providing you with the best has never been stronger. 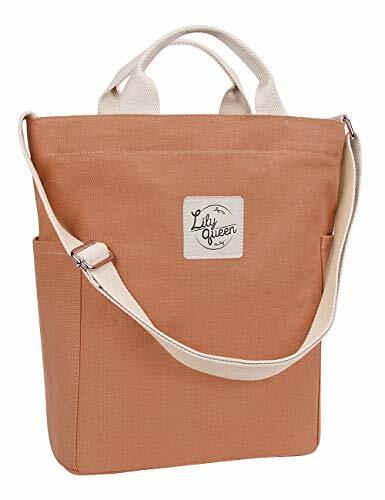 PERFECT CANVAS TOTE WITH ZIPPER: Made by 16oz cotton canvas, super sturdy, soft and water-washable. Have a zipper across the top and the bottom is reinforced. Can be the essential everyday tote. VERSATILE DUCK BAG: Can use it as a top-handle bag, or shoulder bag, or crossbody bag by carrying with top-handles or wearing the adjustable strap. The wide and breathable strap will not cramping your shoulders even you put heavy stuff inside. SPACIOUS and ROOMY: 12x13.5x5 inches. 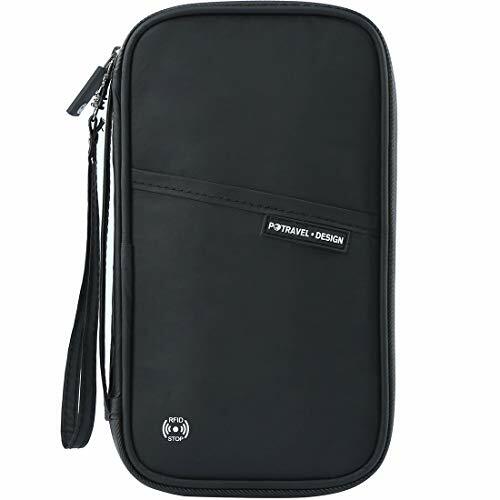 It is roomy enouch for your personal essential stuff as a casual weekend bag. Fit 13" macbook and iPad, A4 magazine and spiral notebook. MINIMALISM and ATHLEISURE: Apply to work, school, travel, dating, shopping and gym. It is skin-friendly and recycle. SERVICE WARRANTY: We'd love to be more eco-friendly. Each of our tote bag was well checked to ensure an efficient shopping experience for every customer. Please contact NBKUN for warranty and service. Your suggestion is really welcomed to make us better, not only the quality, but also the service and more. 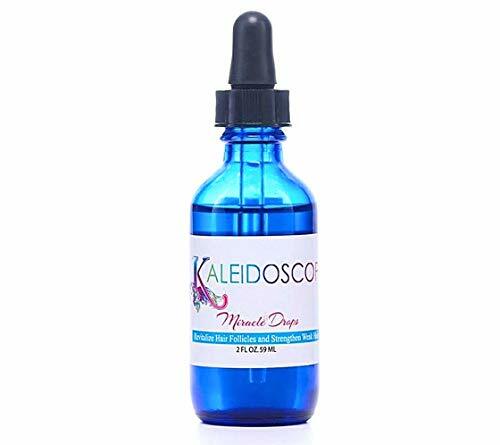 kaleidoscope Miracle Drops 2oz. Hair Regrowth 2oz. 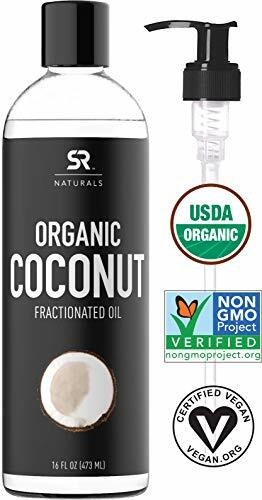 ✅ Black Coconut Creamy, buttery coconut variation - like you're putting on suntan lotion at the beach! Meets Carry On Standards - Refillable, reusable travel size bottles and 3-1-1 clear toiletry bag packaging are TSA approved and safe for carry-on/traveling through airplane. Our travel bottles are available in 3oz, 2oz and 1.25 ounce bottle sets. Leak Proof Design - Drip free dispenser valve releases bottle contents only when the soft, flexible, squeezable silicon travel tube body is pressed. 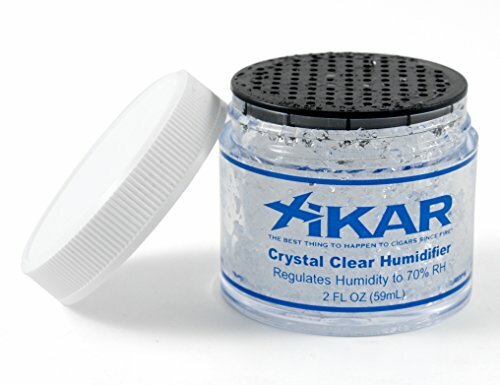 Each lid has 3 leakproof walls to protect your personal items in your bag from leaks or spills. Made of superior quality that will last a lifetime of travel and adventure - The travel size containers' strong, sturdy design makes it a better alternative to disposable empty plastic containers and squeeze tube that simply don't last. Our travel bottle set is made of FDA approved and 100% BPA free food grade silicone, making it food safe. 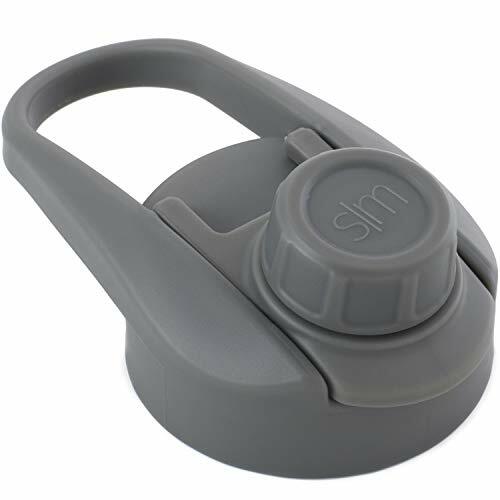 Easy to Refill and Clean - Large opening of our silicone travel bottles makes refills and cleaning easy. Other plastic bottles are hard to fill and leak under changes in pressure. You can easily clean these toiletry containers by soaking in warm soapy water or by using the dishwasher (top rack only). HOLIDAY COUNTDOWN SALE: Buy any dot&dot product and get 15% off. Enter code 7RXLFYYF at checkout. This makes a great holiday gift for anyone.Easily identify contents of your bottle - Each travel bottle contains pre-printed ID labels (shampoo, conditioner, soap, sunscreen, lotion) to identify contents of the bottle. You also have the option to label it yourself using a marker.